When it comes to motorcycle racing, it’s hard not to notice a bright yellow on a track and circuit ground; especially when the color seems to be directly associated with one of the world’s most recognizable sportsmen. 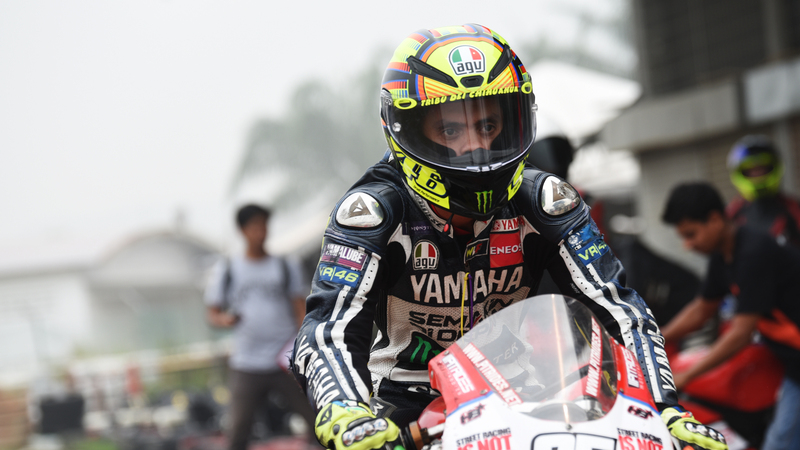 Valentino Rossi has always been with the MiniGP Championship this year but of course, it’s not truly him. It’s actually one of his many fans who just truly admire the man from Manche, a region in Italy. From one look at the picture we have here, it’s hard not to admit that this lad looks a lot like the real “VR”. But, the main in spotlight here is Mohammad bin Yusoff; one of a loyal competitor to the series. 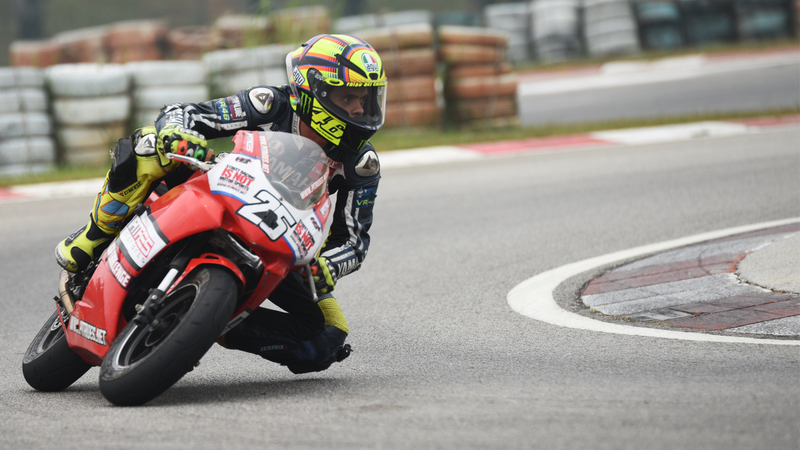 We spoke to the “Local Valentino” and got an in-depth on his view towards the Malaysia MiniGP Members Championship 2015 and his approach for the final round in Putrajaya this weekend. When he was asked to give his opinion on the MiniGP series, he stated that the whole MiniGP Championship is a great platform for us normal people to get as close to the motorsports scene and gauge our riding ability in a competitive manner. At the end of the day, it’s a race and winning is always there in mind and from here, we get to find our limit and that’s just wonderful. The Malaysia MiniGP Members Championship deemed to be one of a few affordable racing series that the public can join at a very minimal cost unlike those who competes in the bigger event such as the Malaysian Superbike Championship or the national level of Malaysia Cubprix. Mohammad added the effect of his involvement in the series in a consistent rate, without missing any rounds did improved his riding skills ability in the real world, the same kind of techniques can be applied to my personal bike; although the one I have is way powerful than the MiniGP but the essence of riding is still similar and I’ve enjoyed great benefit from this competition. As the final round of the series will be coming this weekend, Mohamad stated that he will now focus on getting back on the Kayo MiniGP bike at Elite Speedway circuit to familiarized back with the machine and will now get into full rest prior to the race. He’s already completed a series of fitness training prior to the weekend and now looking to harness all that trainings into the last race of the season. Mohamad who finds himself 20th in the overall standard championship standing are now focused to finish the season and gain as much information and data possible to improves his performance in riding. When asked with the plan for 2016, the “Local Valentino” said that he will absolutely be back in the 2016 season and be back stronger than before. The man said humorously that I’m not giving up till I get my podium finish. It will be interesting to see what he can do this coming weekend and surely, everybody else on the grid will be aiming to finish among the top steps of the podium and that ensures us a great show ahead.